At Jaycliffe, we are proud to provide a leading dog kennels and cattery for pets in the Dinnington area. Our team have years of experience in the industry, allowing us to offer a safe and friendly environment for your pets. Our dog kennels provide both long and short term boarding options for dogs throughout the area of Dinnington. 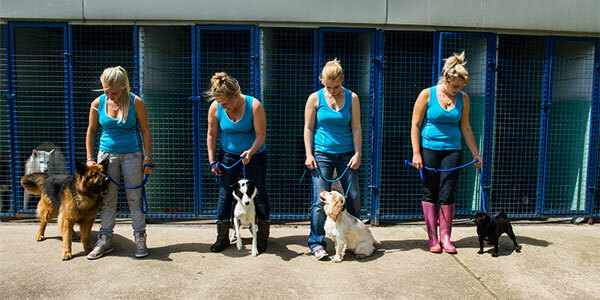 A leading kennels in our area, we have a loyal following of regulars thanks to our clean, comfortable and heated facilities as well as our expert team of staff. With regular exercise, a range of pet foods and even dog grooming facilities, your dog will feel at home in no time at all. Whatever the breed or age of your cat, we will be able to cater to their individual requirements – both in terms of care and diet – at our cattery here in Rotherham. We offer heated penthouse accommodation, fitted with sneeze guards, meaning our facilities are hygienic, safe and comfortable for your cat, giving you total peace of mind in their well-being during their stay with us. For more information about any of the services on offer here at Jaycliffe, get in touch with our friendly team of experts today. We’ll be more than happy to help with any questions you may have, and guarantee to provide a home away from home for your cat or dog while you’re away or busy.